features resistance to abrasion, weathering, moisture, alkalis and weak acids. usage for a wide range of commercial and industrial applications. 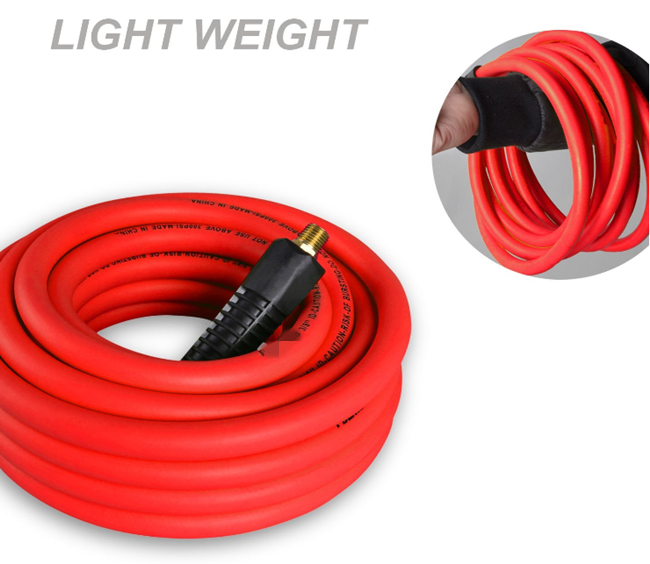 The PVC air hose has 1/4’’ to 1’’ ID and is 100m standard long. Its tube and cover are made of PVC (polyvinyl chloride) for resistance to abrasion, weathering, moisture, alkalis and weak acids. Its braided nylon reinforcement provides the strength necessary to reach and maintain its maximum pressure rating of 300 pounds per square inch (psi). 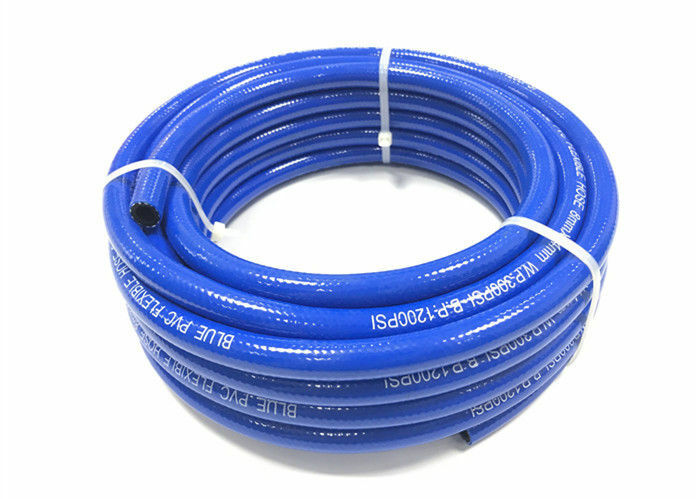 This hose is capable of functioning effectively at temperatures ranging from -5 to +65 ℃. This hose is suitable for a wide range of commercial and industrial air-conveyance applications. Industrial hoses transfer or convey air or liquid in hose systems. The inside diameter of the hose must be adequate to keep pressure loss to a minimum and avoid damage to the hose due to heat generation or excessive turbulence. The hose must be capable of withstanding the minimum and maximum temperatures that occur within the hose system. Some applications require specialized oils or chemicals to be conveyed through the system. In this case, hose selection must ensure compatibility of the hose tube, cover, couplings and O-rings with the fluid used. Industrial hoses are used in systems such as air compressors, automatic manufacturing operations, aircraft controls, and tire installation in industries including agriculture, mining, road construction, firefighting, and aviation.